PT Pembangunan Perumahan Infrastruktur - PT PP Infrastruktur or known as PT PP Infrastruktur is a rapid growing general construction company in Indonesia. PP Infrastruktur PP Infrastruktur undertakes the development, construction and operation of a number of ports, toll roads, airports, LRTs and other infrastructure. PP Infrastuktur is a member of state-owned construction firm PT PP (Persero) Tbk (PTPP Group). According to information found in PT PP (Persero) Tbk Annual Report 2017 as cited by JobsCDC.com, PTPP Group holds 99% shares in PP Infrastuktur as at the end of December 2017. Established in 2016, PP Infrastruktur previously registered as an infrastructure business division of PTPP Group. 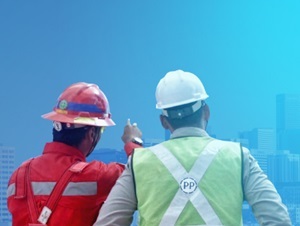 PP Infrastuktur is based in Jakarta and its head office is registered at Gedung Plaza PP, 4th floor - Jl TB Simatupang No 57 Pasar Rebo, Jakarta Timur 13760. Male / Female, maximum age of 30 years old. Minimum S1 degree with GPA ≥ 3.00 (scale 4.00), preferable from State University, majoring in Business Management, Business Administration, Accounting, Management. Minimum 2 years of experience in the related field. Fresh graduate are welcome to apply. Excellent in Microsoft Office (Word, Excel, PowerPoint) and Visio. Good oral and written in English. Minimum S1 degree with GPA ≥ 3.00 (scale 4.00), preferable from State University, majoring in Accounting. Minimum S1 degree with GPA ≥ 3.00 (scale 4.00), preferable from State University, majoring in Environment Engineering, Civil Engineering, Chemical Engineering or equivalent. Strong quality and Safety regulatory knowledge and expertise, including OSHA/OHSAS/K3/ISO certification. JobsCDC.com now available on android device. Download now on Google Play here. Please be aware of recruitment fraud. The entire stage of this selection process is free of charge. PT PP Infrastruktur - Fresh Graduate, Experienced PTPP Group October 2018 will never ask for fees or upfront payments for any purposes during the recruitment process such as transportation and accommodation.